In today’s challenging cybersecurity landscape, any minor change to your Windows environment could be a sign of upcoming disaster. But tracking all of these minor changes is time-consuming, complicated and, often, ineffective. 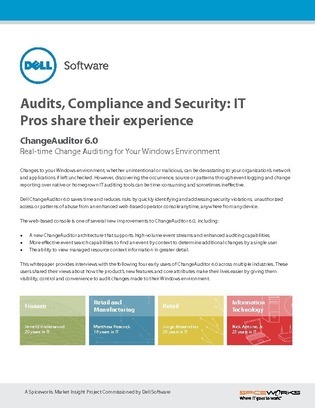 In this white paper, discover how real organizations strengthened their security posture by simplifying their change monitoring process. Learn how to make your life easier with better visibility, control and convenience.